There was no stopping the Polish team today, as it won its second World title against Brazil in 4 years. Even though it came from a 5-setter yesterday to play against a rested Brazil, which won its semifinals match against Serbia 3-0, the Polish team showed no sign of tiredness, as it ran Brazil out of the Arena. The first set of the game was the most even, as both teams started the game serving very hard. Bartosz Kurek, who had an ace clocked at 120 kmh (75 mph), scored 5 of his team’s first 10 points. Poland had a 4 point lead throughout the whole set, with Brazil playing catch up for most of the set until its end, when the team was able to tie, before Poland muscled up for a 28/26 finish. The second and third set was an All-Poland show. Or better yet, an All Kurek-Kubiak show, as the duo played the best volleyball of their lives when it mattered most, leaving no chance for Brazil, who was unable to match its opponent offensively. 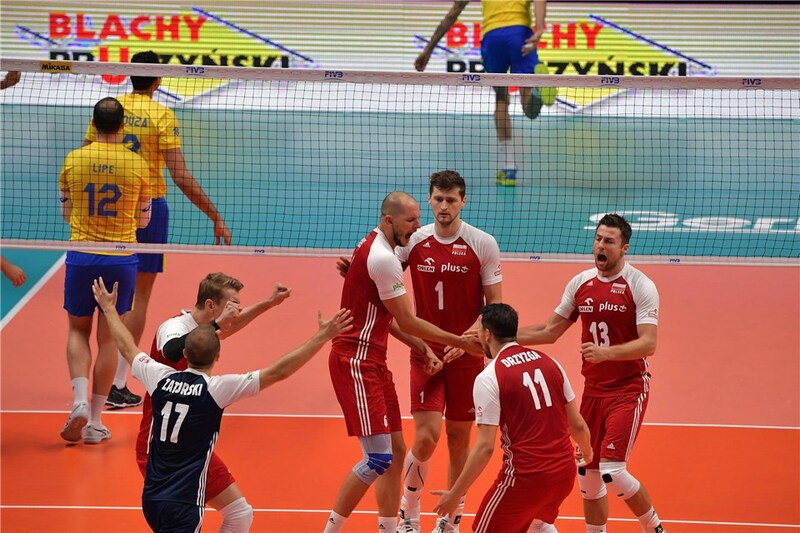 Poland outblocked the Brazilian team 10-2, while Kurek scored 24 points on 69% hitting. Wallace Souza had 14 points in the losing effort. At the end of it all, it’s very safe to say that both teams greatly overachieved in the tournament. Brazil entered the competition missing both of its starting outside hitters, while Poland, even though a contender and defending champs, was nowhere near most conversations regarding the title favorites. The title comes to crown the genius of Vital Heynen, who after his latest performances at the helm of Germany and now Poland, has every right to be considered the best volleyball coach in the world. This was Poland’s third ever WCH title (1974, 2014, 2018). For the next four years, the World Cup will stay, rightfully so, at the country most passionate with volleyball in the world. What’s better, in 2022 it will have the best player in the world, Wilfredo Leon, in its squad to once again defend the title. Kurek and Kubiak are legends. Polska Champions of the all Galaxy. Poland won its first title in 1974, not 1972.